Synapse – a business spreadsheet collaboration company based at the Innovation Birmingham Campus – has concluded the 2014/5 financial year with a total of £380,000 secured in grant and investment income. In addition, a Knowledge Transfer Partnership with the University of Leicester has just been awarded to further accelerate product development. Started in 2012 by serial entrepreneur Brian Donnelly, Synapse has tripled in size to 18 people during the 2014/5 financial year. A £250,000 SMART Grant from Innovate UK, a £25,000 investment from Finance Birmingham, a £15,000 grant secured via a Coventry University project, and a £90,000 grant from The Birmingham Post’s Regional Growth Fund have supported the tech start-up’s rapid growth. Revenues have grown from £300,000 in 2012 to over £1.3 million in 2014. Synapse’ largest clients include a high street bank and a leading Swedish furniture retailer. Brian Donnelly, CEO of Synapse Information Ltd said: “Despite the prevalence of enterprise software, companies large and small still opt to produce financial reports using spreadsheets, which are manually cut and pasted together every time amends and new data are inputted. Spreadsheets offer employees a familiar, flexible format, but the time wasted and significant margin for error created by cutting and pasting various versions – sometimes as many as 200 versions are being worked on simultaneously –is bad for business. “Synapse has spent three years developing a collaborative solution which connects standard spreadsheets through our cloud service and automates all of the cutting and pasting work in the background. Every change made by a user ripples through to every other user in a controlled and auditable manner, so ‘one version of the truth’ is instantly accessible across the business. There is no software to install or buy and no disruption to business as usual, which is resonating with our clients. Synapse’s growth has also been supported by loan finance from Aston Reinvestment Trust (ART), which is also based at the Innovation Birmingham Campus. The previous business founded by Brian Donnelly was relocated from the UK in order to grow the business exponentially in California’s ‘Silicon Valley’. Over a series of investment rounds with US venture capitalists, he raised a total of $30 million, enabling the team to grow to 160 with a customer base of 70 large clients, before exiting the business and subsequently returning to the UK. A new employee and Entrepreneur in Residence have joined Innovation Birmingham’s Entrepreneurs for the Future programme, as three new tech start-ups have enrolled. In the five years the programme has been running, the start-ups have secured over £7 million of investment during initial funding rounds. Entrepreneurs for the Future is part-funded by the European Regional Development Fund (ERDF). To date, the programme has incubated 105 start-ups, with close to 200 new employee and director positions created since November 2009. The latest new tech ventures are: Spica Technologies – a software product development business; Supermeal.co.uk, which is a direct competitor of Just Eat; and Wander City, which has set out to provide real time information to users based on their personal profile and geolocation. The new Entrepreneur in Residence position has been taken up by Andy Honess, who is a tech advisor and investor, with over 25 years’ experience in the enterprise software industry. Andy has held senior sales and executive leadership positions in IBM, Siebel and a number of start-ups. He was also the managing director and vice president of QlikTech for five years, helping the company to a successful IPO on the NASDAQ. Holly Watkins has also joined the team as the Entrepreneurs for the Future Programme Administrator, having completed her Level 2 Apprenticeship via Birmingham Metropolitan College. Dr David Hardman MBE, CEO of Innovation Birmingham said: “The continued growth of the Entrepreneurs for the Future programme is driving the success of the Innovation Birmingham Campus. Our Faraday Wharf building is fully let, with a lot of the recent uptake in office space coming from the expansion of the businesses that have graduated from the Entrepreneurs for the Future centre. These innovative businesses are creating new jobs for the local economy and driving the growth of Birmingham’s tech community. Those enrolled onto the Entrepreneurs for the Future programme benefit from up to nine months free office space, telecoms, meeting rooms and superfast broadband. In addition, there is continued mentoring from the Entrepreneurs in Residence, regular visiting expert sessions, a series of workshops and events, networking opportunities and peer-to-peer support. All of this support comes for free; Innovation Birmingham does not take an equity stake in the start-up businesses, as enrolment onto the Entrepreneurs for the Future programme is part-funded by an ERDF grant. Innovation Birmingham has designed its tech incubation programme in order to capture serial entrepreneurs, who as individuals are working on more than one project concurrently. The Innovation Birmingham Campus is open 24/7, enabling people to work flexibly, or cram in the hours when needed. 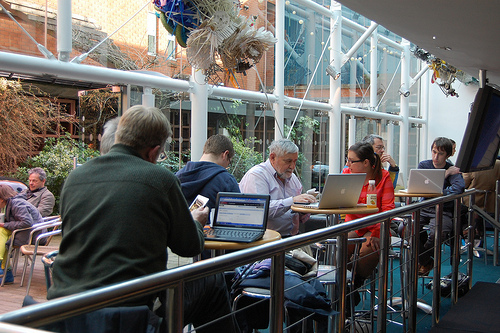 Birmingham is being overlooked as a tech hub – and indeed a ‘Tech City’. The vast number already employed in the tech sector, the calibre of computer science graduates from the University of Birmingham, Aston University and Birmingham City University, along with the city’s impressive stats on start-up activity all paint a solid picture. So, why does it feel like I’m fighting a losing battle when trying to change the perception of London-based influencers? Birmingham’s tech community has four main centres of activity; Birmingham Research Park in Edgbaston, specialising in life sciences; The Custard Factory and Fazeley Studios in Digbeth, with their vibrant community of creative companies; Longbridge Technology Park; and our dynamic centre for tech start-ups at the Innovation Birmingham Campus. If, as a city – a ‘Smart City’ – we could champion these four centres in an effective joined-up fashion, perceptions should be changed overnight. Each of these four centres has considerable growth potential to meet future demand. Other work spaces and co-working environments will – and are – emerging across the city, which is good news for the continued growth of the local economy and its variety proposition. However, promoting the four aforementioned well-established centres as the focus of a Birmingham Tech City campaign could leapfrog us ahead of other ambitious cities. Let’s learn from Cambridge, where a handful of centres with distinct offerings have made it a formidable global hotbed for tech innovation. Effective campaign branding and clarity of message would bring much more investment and profile to Birmingham’s rapidly growing pool of tech start-ups and SMEs. It would also help to lure talented tech professionals to relocate here, turning the current trickle into a transformational flood. Birmingham’s compelling quality of life metrics have resonated with the professional services sector of late; we now need to see the same number relocating here to work in the tech sector. See the video below, Internet of Things take on digital facts about the Greater Birmingham region! The West Midlands 2015 Climate KIC programme of activity will be launched on Tuesday 24thFebruary. Innovation Birmingham acts as the regional hub, which this year has been assigned €2 million to deliver a range of initiatives for Climate-KIC; Europe’s largest public-private partnership focused on tackling climate change. The main programmes to be launched on 24th February are; Pioneers into Practice – a grant-funded European exchange programme for 50 low carbon specialists; the Low Carbon Accelerator Programme for 30 start-up businesses; ClimateLaunchpad – a programme enabling 10 business ideas to become a commercial reality; and a range of grant-funded education programmes aimed at students, professionals and organisations. Applications are being sought for all of the programmes, with the cut-off date being 23rd March 2015. 35 initial expressions of interest for the Low Carbon Accelerator have been lodged from across the West Midlands in the first few days of the application process being open. It is designed to accelerate the growth of early stage businesses, awarding up to €20,000 of grant funding to each company who successfully progresses through the nine month programme. The recent growth of the Climate-KIC programme enabled Innovation Birmingham to create 10 new jobs during 2014. In 2015, in addition to the main activity programmes, Innovation Birmingham will also be responsible for the delivery of Climate-KIC’s annual Innovation Festival, which will be held at The ICC in October. The event attracts over 500 climate change practitioners from across Europe. Innovation Birmingham’s Climate KIC West Midlands Regional Innovation Centre is one of six across Europe that are working to develop the low carbon economy within their regions. The other Regional Innovation Centres are located in; Valencia (Spain); Emilia Romagna (Italy); Hessen (Germany); Lower Silesia (Poland) and Central Hungary. The Centres are supported through the Climate Knowledge Innovation Community (KIC) project, which receives funding from the European Commission through the European Institute for Innovation and Technology. To enquire about, or apply for any of the programmes, please contact Claire Spencer:ClaireS@innovationbham.com. A record-breaking 50 climate change practitioners are being sought for the 2015 Climate KIC‘Pioneers into Practice’ European exchange programme. The €400,000 programme is being delivered by Innovation Birmingham for the fifth year running. 35 Pioneers are being sought from the Midlands area, with a further 15 being recruited from Ireland. The online application process is now live, with the deadline set as 23rd March 2015. The participants will be selected based on their existing experience in the climate change sector, with sought specialisms including civil engineering, housing, community activism, as well as research fellows. During previous placements, Pioneers have identified significant savings, helped to develop new products and completed specific tasks – at no cost to the host company. The programme enables relationships to be developed amongst experts across Europe’s low carbon economy, and in some cases the Pioneer has gone on to work for their host, once the programme has completed. Successful applicants will commence the programme with a two-day workshop in May, which prepares the participants for their four-week domestic placements, which take place in May – June. This is followed by another four-week placement within a company based in continental Europe during autumn 2015. Each participant will receive up to €8,000 in staged payments over the duration of the programme. Applications for host companies are also being sought. Host companies where the Midlands-based domestic placements will be carried out have in the past included Accord Housing, Arup, Aston University, Birmingham City Council, Birmingham City University, Cenex, Coventry University, Encraft Engineering, Green Hill Sustainability, Heat Genius, Loughborough University, New Leaf, Northfield EcoCentre, Optima Housing, Orbit Housing, Shropshire County Council/Marches LEP, Worcestershire County Council, University of Warwick, University of Wolverhampton and Ventive Ltd.
Katharine Fuller, Innovation Birmingham’s Senior Manager for European projects said: “The Pioneers into Practice programme enables those at the forefront of climate change innovation and implementation to have the opportunity to work abroad and in innovative companies closer to home. The programme has demonstrated that being parachuted into an organisation – outside of regular comfort zones – is the best catalyst to new ways of thinking. “The diverse mix of backgrounds and expertise is what makes this programme so successful for both the host organisations and the Pioneers. They take their experience and skills up a level, which in turn delivers a more effective and creative group of climate change practitioners working across the region. Participants from the Midlands will undertake their four-week overseas placement during September and October 2015. The host organisations will be based in the other KIC participating regions; Valencia (Spain); Emilia Romagna (Italy); Hessen (Germany); Lower Silesia (Poland) and Central Hungary. Following the opening session, further workshops will be held in the West Midlands during June and November 2015, bringing all the participants back together. Every Pioneer into Practice from across Europe will meet at the International Workshop, being held in Birmingham at the end of October 2015.